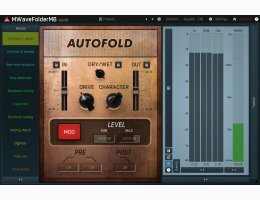 MMultiBandWaveFolder is a powerful distortion module, inspired by analog, taken to a whole new level using digital processing. It has a unique character ranging from mild harmonic enhancement to a complete sound destruction. Distorting a broadband signal may be useful, but it's usually too overpowering and doesn't give you many options. 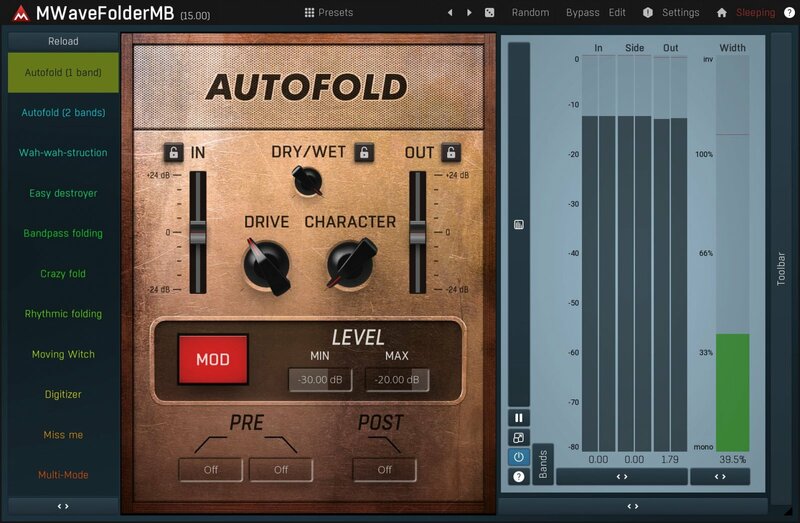 MMultiBandWaveFolder lets you split the input signal up to 6 bands and use a different custom shape in each of them. You can even modulate the shapes for a real distorted madness.